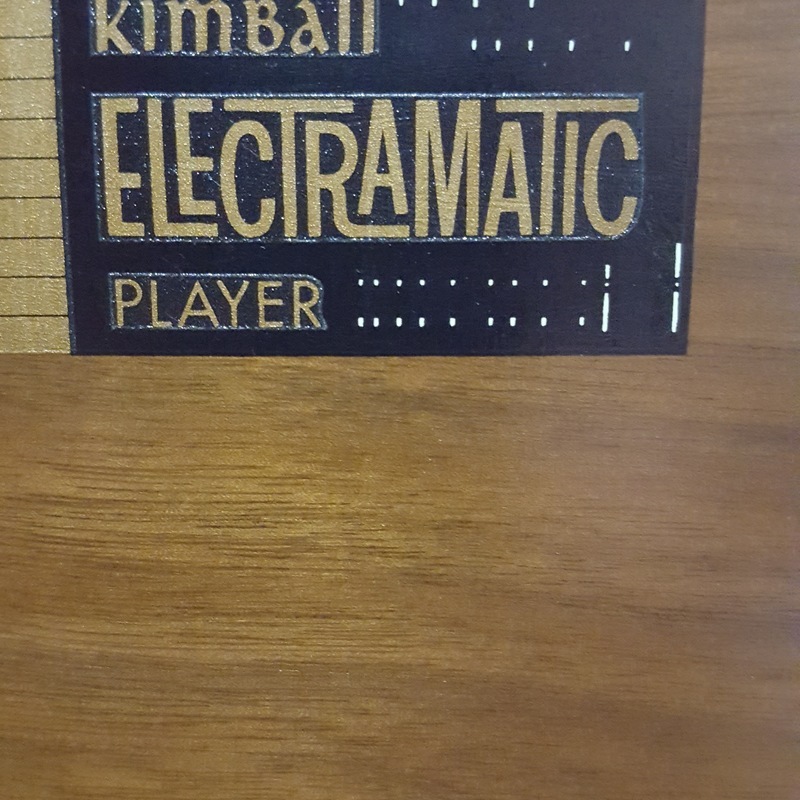 This is a vintage mid 20th century, 1960's, consolette player piano by Kimball called the Electramatic that has a running motor though the player roller does not turn. There are piano repair companies who sell the Electramatic gears. However, the piano market is quite slumped and they are currently a 'hard sell'; piano players especially as upkeep on these is more costly given all the moving components. The estimate is the high sale value if repaired to working condition; however getting this back to working may be cost prohibitive.